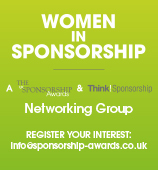 Your entries will judged by a team of the most experienced industry experts from every sponsorship sector – clients, rights holders, representatives from governing bodies, the media and research specialists. You can expect a totally transparent judging process. Entries are distributed to specialist judges two weeks before judging day. Shortlists are then arrived at by specialist sub-groups who then re-read each entry and discuss the individual entries in a round table format. Category winners are decided upon by a secret ballot and only the Awards organisers are privy to the winners. As you would expect no judge will judge campaigns which he or she has worked on or had involvement in, however minor. A list of the 2017 judges will be posted on this site towards the end of the year.